Thank you Tiem! 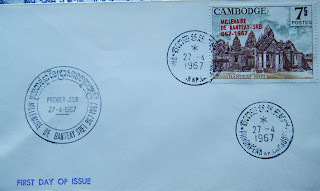 Banteay Srei stamp released for the temple's 1000th anniversary. Located in the Ankor Archaeological Park, this temple was dedicated to Shiva. 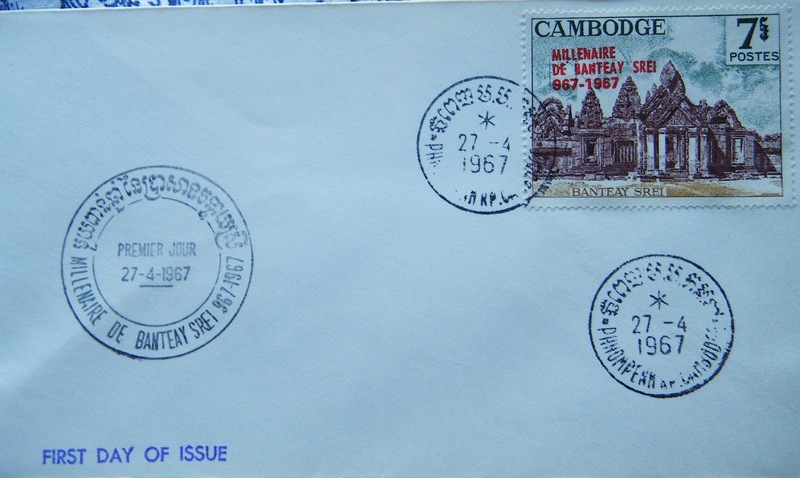 Do any of these stamps exist without the anniversary overprint?